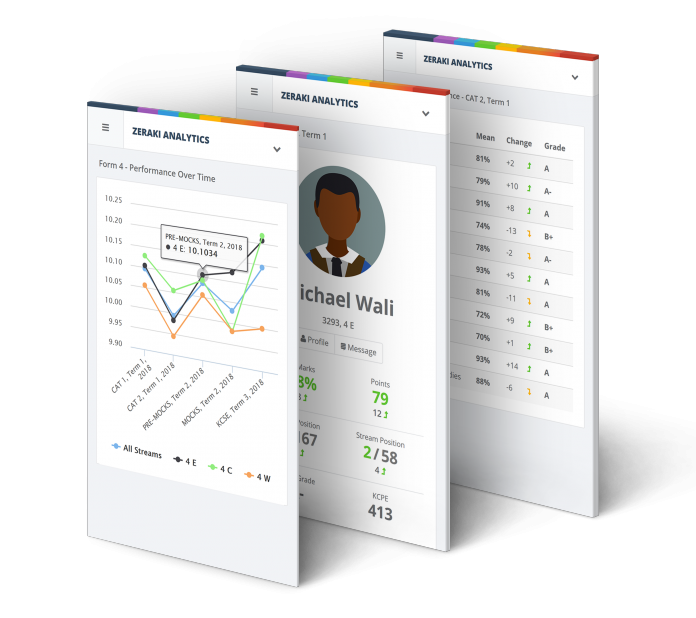 A dashboard that incorporates both digital learning and analytics through the capture of data, Zeraki Analytics is one of the products by Litemore Limited. “Data itself is not useful, but when organized and presented in an easy to use and understandable manner then it becomes integral,” quips Isaac Nyangolo, Litemore company co-founder and CEO. Mr Nyangolo credits his time on the project management department of Equity Bank’s Wings to fly program as the catalyst to this digital tool. While at the foundation from the year 2010, he had overseen how to assemble and mentor bright students from across the country. The challenge posed by the increasing number of students under the program and need to monitor their progress way after graduation and offer those joining high school remedial classes during the holidays sparked a curiosity. With the increasing number of students from an estimated 166 students in 2010 under the Wings to fly program to around 4,000 in the year 2012, it became impossible to hold tuition holiday camps. This is coupled by the fact that the Ministry of Education was clamping down on remedial teaching and thus there was a need for digital intervention. On the other hand, the Foundation was struggling to manage data for its students, who would top 5000 in 2013. With such numbers, it was a big challenge to identify, in a timely manner, students who were performing well or students who needed help. Having previously led business analytics projects at Equity Bank, Isaac would lead the effort to identify a data platform to manage all the Foundation’s academic data. This experience would expose him to the need for an intuitive analytical platform to support such decision-making in the education sector. It is these gaps that inspired Isaac and his co-founders, including two, Eva Watiri and Erick Oude, whom he had met at Equity Group Foundation, to start Litemore. 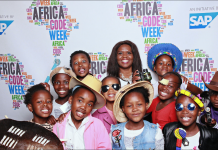 Their primary idea was to develop Zeraki Learning, a tool to support remedial learning by students, and Zeraki Analytics, a data analytics and decision-making tool for parents and schools. Zeraki Learning comprises tutorial videos developed by some of the best teachers they encountered during their work at Equity Foundation. The videos include all lessons within the 8-4-4 high school curriculum with a focus on mathematics and the sciences. A student falling behind in class, or a student who needs to review material they have covered in class, can access these materials on a mobile device by downloading the Zeraki app; while schools can access the Zeraki platform offline in their Local Area Networks, or even on TV screens. Mr. Nyangolo notes that the high failure rates in the national exams points to a huge need to offer remedial support to students. Many schools are unable to complete the syllabus adequately on time, and students often have no way of reviewing past lectures to grasp concepts they still need to review. Thus, their entry was to bridge this by providing quality content in the form of video lessons from some of the best subject teachers in the country. Couple it with assessments to enable students diagnose their strengths and weaknesses and take appropriate action. Zeraki Learning has not had an easy and smooth market penetration. One major factor is the lack of digital devices in schools, with most of them banning mobile phones in their premises; students could only access Zeraki from computer labs in schools. Even these are few, with the best equipped schools having as few as 1 computer for every 20 students. Some schools on the other hand preferred to screen the lessons on TV screens, or use projectors in class, even these were not enough to cater for the student population. This thus makes most students access Zeraki during school holidays when they have access to the smart devices at home. Mr. Nyangolo compares the digital learning space at the moment to the early stages of micro-finance. 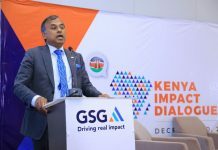 Institutions like Kenya Women Finance Trust and Equity Bank were supported into building sustainable models through grant funding and support, something the digital learning space has not yet benefited from that much. The Jubilee Government’s digital learning program was a brilliant idea to provide kids with digital devices yet intriguingly, the government never engaged the local digital content creators. Thus, the content providers could not expand their reach by leveraging the tablets. As for Zeraki Analytics, the uptake has been dramatic. The over a hundred schools using the platform have validated that the need for insight to support decision-making in schools and at home is huge. The schools using Zeraki Analytics range from day schools like St. Augustine in Mlolongo, to boarding schools like Moi Forces Academy in Mtongwe; far-flung schools like St. Mary’s Mabera in Kuria, to city schools like Lenana School in Nairobi; extra-county schools like Nasokol Girls in Kapenguria, to private schools like MPESA Foundation Academy. The Zeraki Analytics app provides an intuitive interface for results analysis, marks entry, and bulk messaging to parents. With the support of Litemore’s Zeraki Analytics platform, a parent is able to access their child’s entire academic record and use that information to support their decisions, including a decision to support whatever learning gaps are identified using Zeraki Learning. Previous articleIs VAT applicable to the sale or purchase of land in regards to commercial buildings standing thereon?